Audi Northlake is excited to offer special pricing for full-time employees of local companies. Audi of America offers their valued business partners and suppliers special pricing on new Audi vehicles. The list of companies who are Audi Suppliers includes Bank of America, Microsoft, Apple and Coca-Cola. To get started, fill out the form on the right, or give us a call at (888) 819-7796 for complete details on special pricing through the Audi Supplier Program. Eligibility- Current and full-time employees who work directly for an Audi Supplier, and current Audi Club of North America (ACNA) members, can participate in the Audi Supplier Program. How it Works- When you come into Audi Northlake, we will have a certificate ready for you to fill out. When we verify by reference to this certificate, to your valid government-issued identification and current pay stub that you are an eligible purchaser, we will sell the eligible vehicle to you at the price currently specified by Audi of America under this program. General- all new and unused MY 2014, 2015, or 2016 Audi vehicles, excluding RS5, RS5 Coupe and Cabrio, Audi Q5 Hybrid, RS7, A8 W12 and R8 are eligible. Vehicles may be sold at the Dealer's discretion from their stock or may be factory-ordered. Dealers are not required to sell you a vehicle from their stock that is in short supply; however, any vehicle offered under this program also may be factory-ordered. Parts and Accessories- We can also sell you parts, accessories, finance and insurance products and other items in the same manner as any other retail purchaser. We may take vehicles in on trade and may acquire and dispose of such vehicles as in any normal retail transaction on such terms as we choose. Incentives-All applicable retail incentives apply toward the program. *Claims- Audi of America has the right to audit all the records pertaining to this transaction. 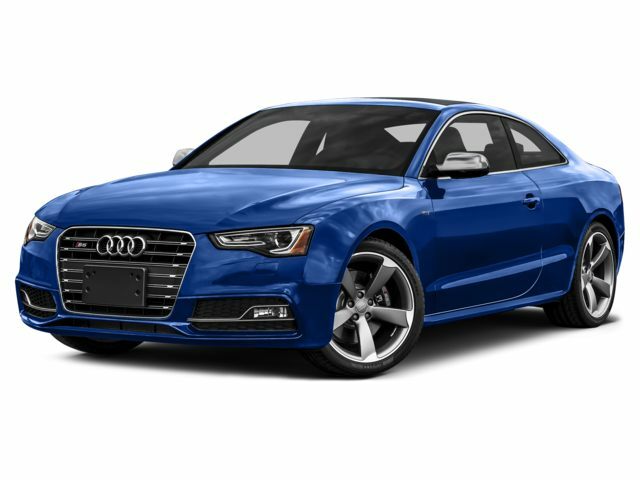 If Audi of America finds that purchaser violated any terms or falsified any documentation of Audi of America's vehicle purchase program, Audi of America may cancel purchaser's privileges and/or the supplier's privileges to acquire vehicles under any special Audi of America programs and may, at its discretion, seek to recover any special benefits the purchaser received. *Final Decision- Audi of America's decision is final in all matters relating to this program. Audi of America has the right to amend or cancel this program at any time for any reason. *Customer Contact- In becoming an Audi customer under the terms of this program, the purchaser acknowledges and agrees to receive information and other special communications related to Audi products (e.g., Audi welcome kit, Audi Club North America membership application, Audi Magazine subscription). We may share purchaser's personal information with Audi affiliates, as permitted by applicable law. If we do share purchaser's personal information with our affiliates, we require them to limit their use of the information to the purposes for which it was provided. *Duration- The Audi Supplier Program runs through October 1, 2015, unless otherwise specified. Based on delivery date.